I’ve been following Uema’s music since I first heard her sing Soranju a couple years ago. Now I have all her music and think I know much about her roots and song. Recently on a trip to Okinawa, I stopped in a store in Chatan called the Sake Mart. I bought a bottle of scotch whisky and when I went to the counter to pay for my liquor, I saw a picture of Ayano above the register. I said to the old man at the counter, “That’s my girlfriend.” It surprised him when I said I know Ayano Uema. He laughed and said, “That’s my girlfriend too!” We had a common bond with each other. I’ve been back to visit the Sake Mart many times since then, and I always make a point to say hello to the old man. It’s just one of the things I love about Okinawa. 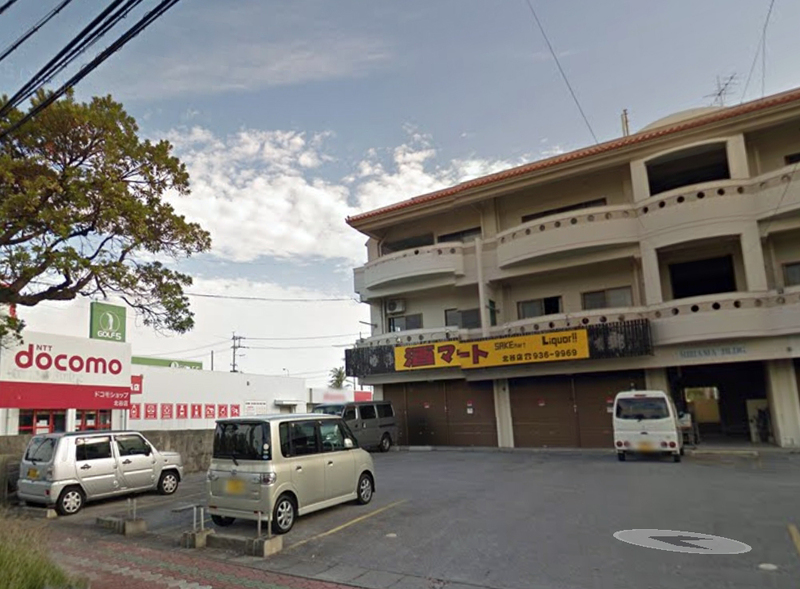 A liquor store in Chatan, Okinawa. For a related post on Uema, click here. This entry was posted in Culture, Entertainment, International, Minyo, Music, Singer, Uema Ayano. Bookmark the permalink.